Entrance to Harlem Art Park located on 120th Street between Lexington and Third Avenues, with view of “Growth” the first Percent for Art installation. 1985. 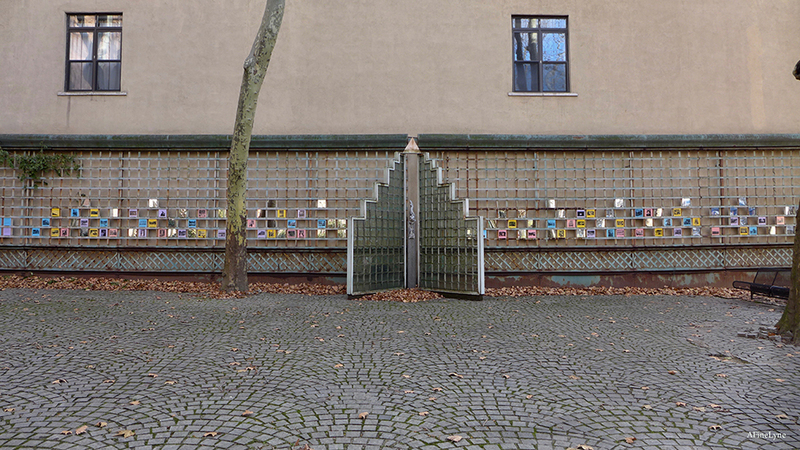 For this project, the artist embraced the Harlem Art Park site, a place resonating with history, energy, and diversity. This invaluable community site, now facing increased gentrification, is celebrated through the memories, stories, and the strong roots of people from the neighborhood. 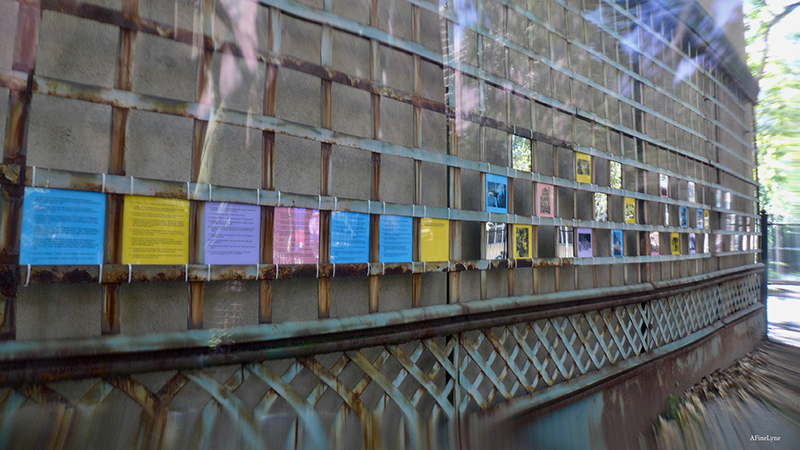 The artists’ installation knowingly highlights historic moments and contemporary culture with photographs collected by the artist from various residents, community organizations, institutions and NYC Parks Photo Archives. These photos depict moments, events, places, and people from the community’s past and present. The artist’s lens elevates these scenes by converting the digitally scanned photographs into laser etchings on colorful Plexiglas. 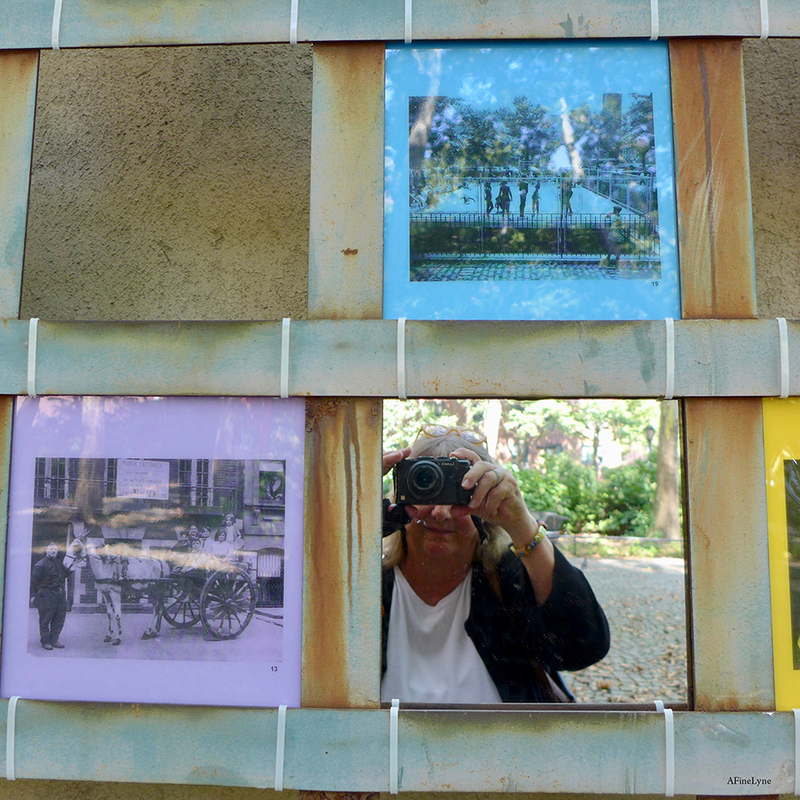 The fence of the Art Park provides the backdrop for each image as park visitors can catch a glimmer of sunlight ~ or even their own image reflecting from some of the mirrored tiles, interspersed among the photographs. 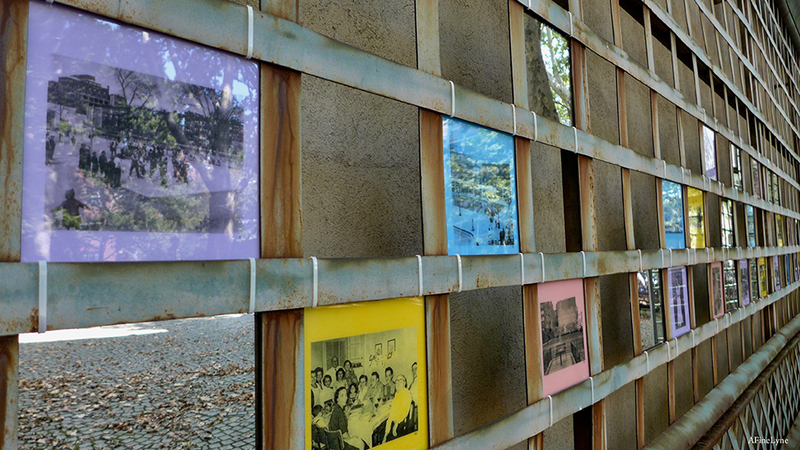 The photographs line the periphery of the park, where the images on laser etched tiles are interwoven into the grid of the park trellis. The trellis, thus becomes a frame for each image. Some of the images on view were taken as far back as the 1930s, 1940s and 1950s, and some were taken within the last few years. 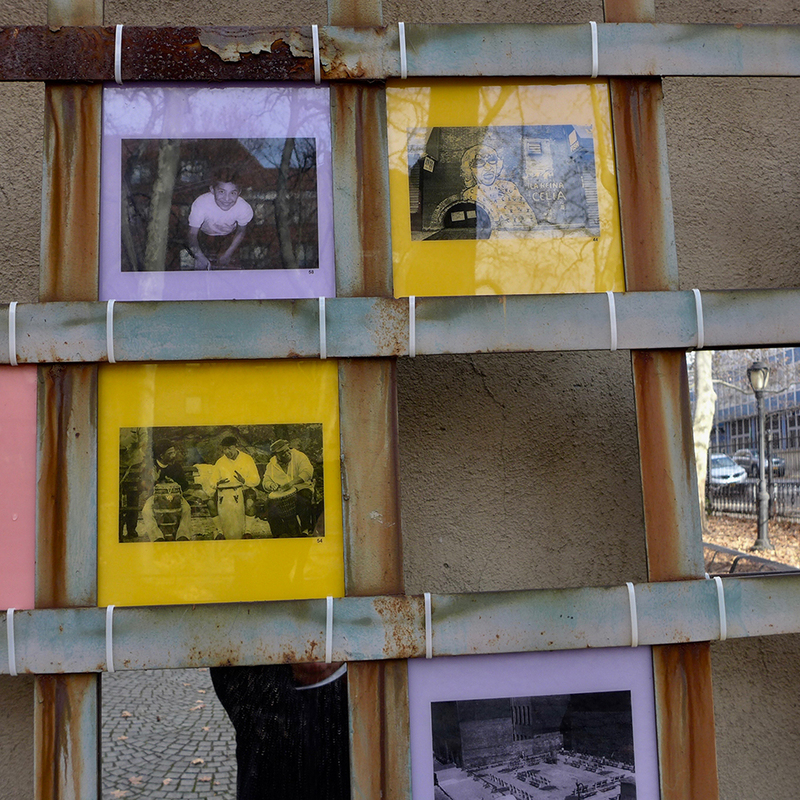 One of them is a portrait of four generations of a family, many of whom are still living in the neighborhood. All of the photographs represent thriving community life. The installation includes iconic buildings, businesses and people ranging from the First Spanish Methodist Church (People’s Church), home of the Young Lords to an image of Crack is Wack, courtesy of Jillian Leigh. 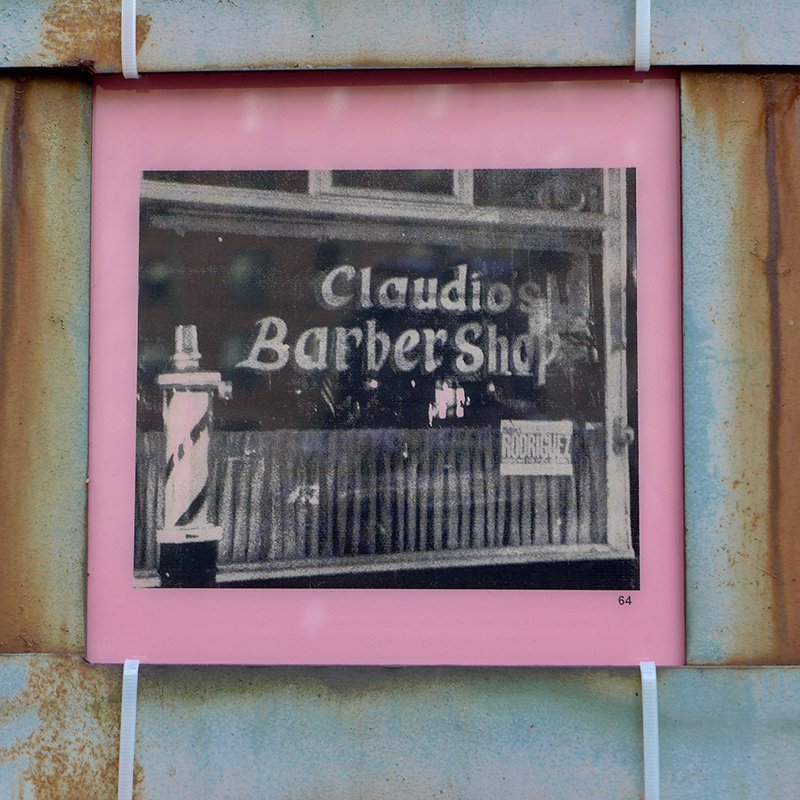 Below is an image of Claudio’s in his original shop on 116th Street, circa 1979 courtesy of Raymond Perez. There’s a wonderful image of the historic firehouse located at 120 East 125th Street, now The Caribbean Cultural Center African Diaspora Institute (CCCADI) ~ An image of Elaine Arabatzis’s Grandfather’s market at 625 Lenox Avenue in 1921! and Hiram Maristany ‘Machito’ the first Third Avenue Festival, 1979 courtesy of Debbie Quinones. Manny Vega Dedicates his El Spirit Mosaic, 2012 in an image courtesy of Kathleen Benson Haskins. 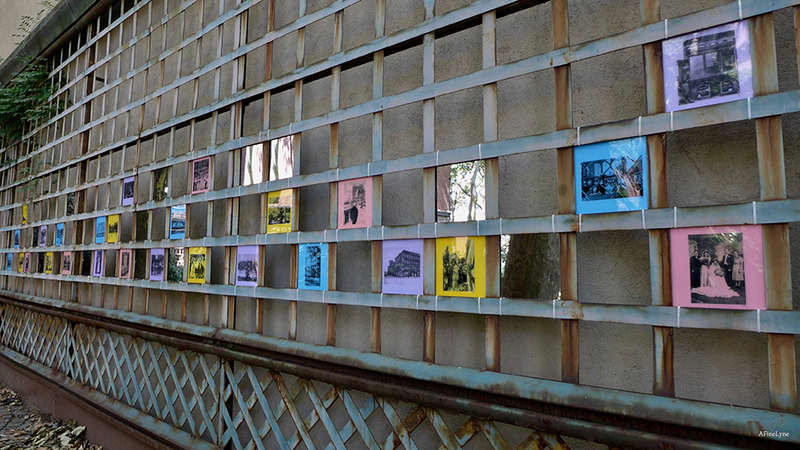 New images will be added to the trellis throughout the year as the East Harlem Photo Album story continues to evolve and further engage community residents and visitors. Have photos that might be meaningful to the community? Email presidentmgpa@gmail.com. The Public Art Initiative installation is co presented by the Marcus Garvey Park Alliance, Friends of Art Park Alliance, and NYC Parks. 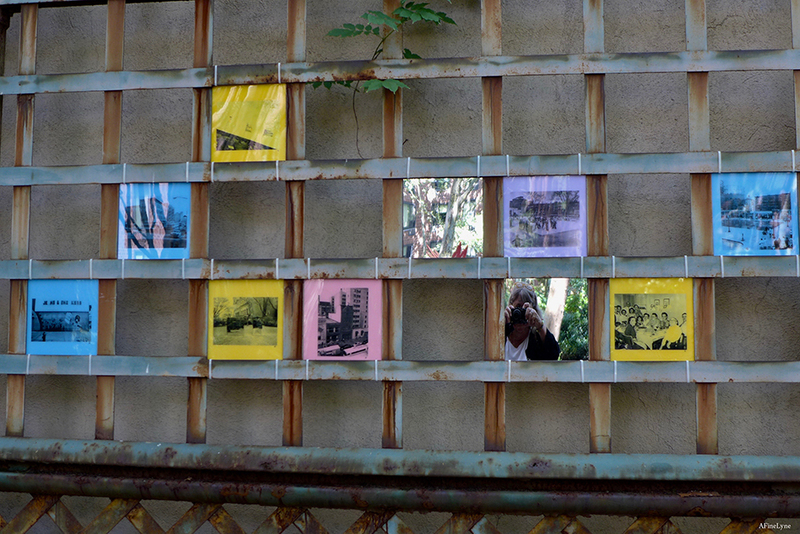 Present Histories: An East Harlem Photo Album is organized by Connie Lee, President, Marcus Garvey Park Alliance. Image #11 courtesy of LuLu LoLo Pascale – Evans Photo Archives. Photographer: Vincent ‘Sonny’ Capaldo. “East Harlem Family Photograph” 326 East 116th Street, c.1950s. Photo appears in “East Harlem” by Christopher Bell, Arcadia Press, page 13. Art in the Parks: Active Open Space is a partnership between the New York City Department of Parks and Recreation and the New York City Department of Health and Mental Hygiene, in collaboration with the Fund for Public Health in New York and the Centers for Disease Control and Prevention, to activate park space with health-inspired art installations that promote physical activity and strengthen community connections. Funding for this project was made possible by the Center for Disease Control and Prevention. 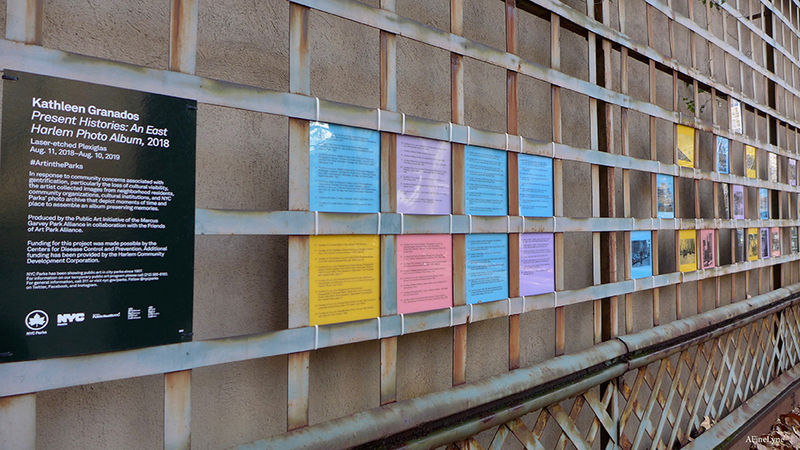 The seven colorful tiles below are the key for each photograph in the installation, from #1 to #50, giving information about each photograph. 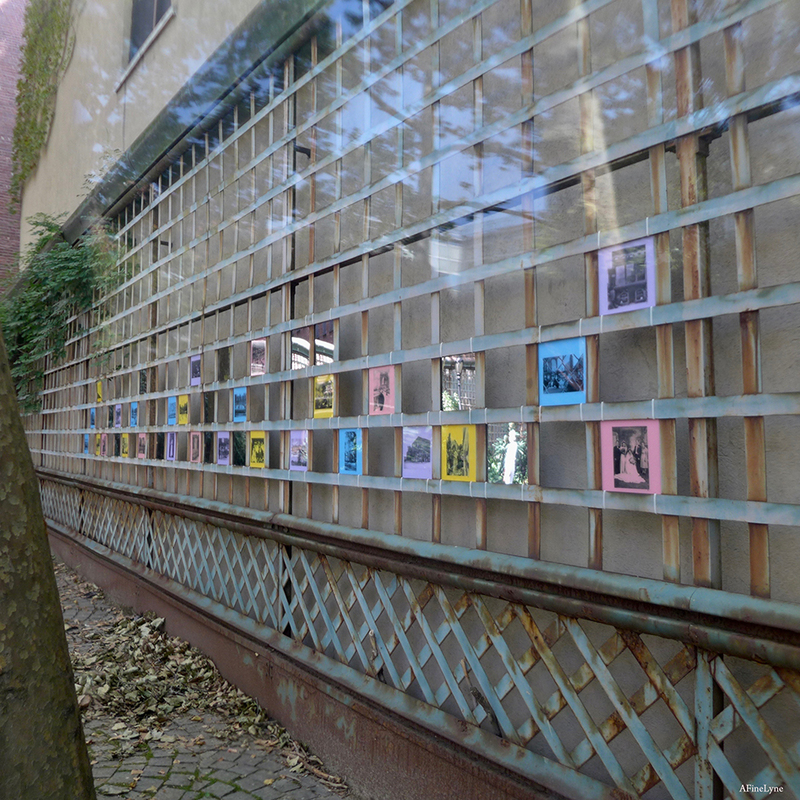 The Public Art Initiative is an ongoing program developed by the Marcus Garvey Park Alliance in 2016 to maintain cultural identity in uptown neighborhoods faced with the fears associated with gentrification. The Public Art Initiative creates opportunities for artists who live and work uptown, to create works that connect with local residents and encourages visitors to celebrate the creative culture that the neighborhoods of Harlem are famous for. 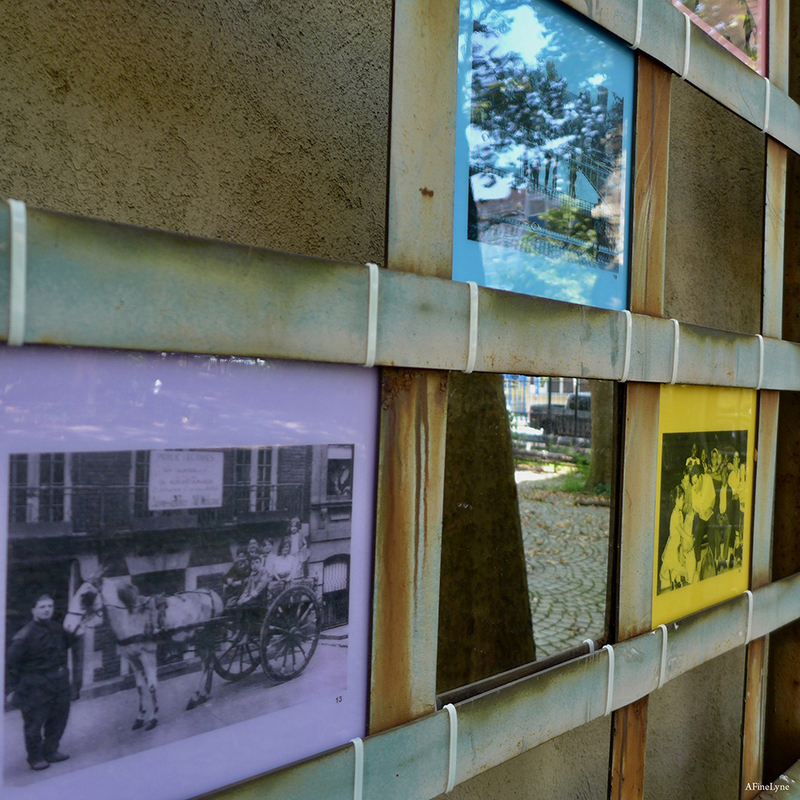 NYC Parks’ Art in the Parks program has consistently fostered the creation and installation of temporary public art in the parks throughout the five boroughs. Since 1967, collaborations with arts organizations and artists have produced over one thousand public art projects in New York City parks. 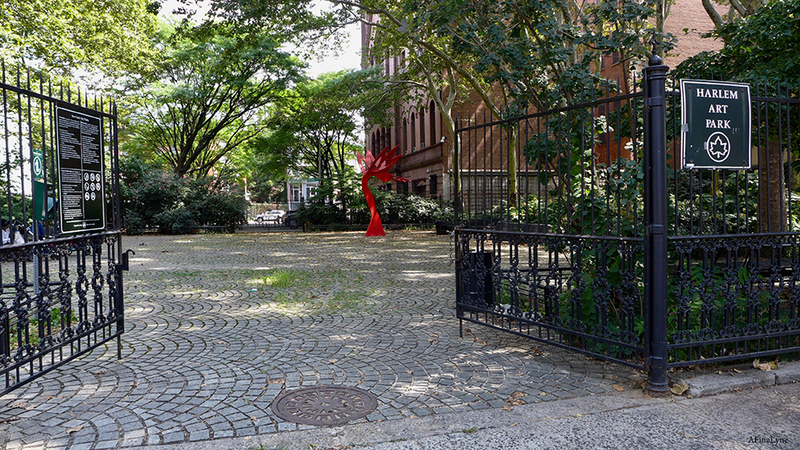 Harlem Art Park was originally acquired by the City of New York in 1929 as a site considered for a public bath. The .174 acre plot, located directly behind the historic Harlem Courthouse, became an informal gathering place for many years, and was finally acquired by the Parks Department in 1945. Above image, #13 bottom left, courtesy of LuLu LoLo Pascale-Evans Photo Archives ~ Photographer: A. Tennyson Beals. It is entitled ‘Sicilian Cart in Front of Haarlem House’ c.1930s. This photo appears in “East Harlem” by Christopher Bell, Arcadia Press, page 13. Above image, #19 top right, Courtesy of New York City Parks Photo Archive. “Children in Portable Pool” Marcus Garvey Park, 1967. 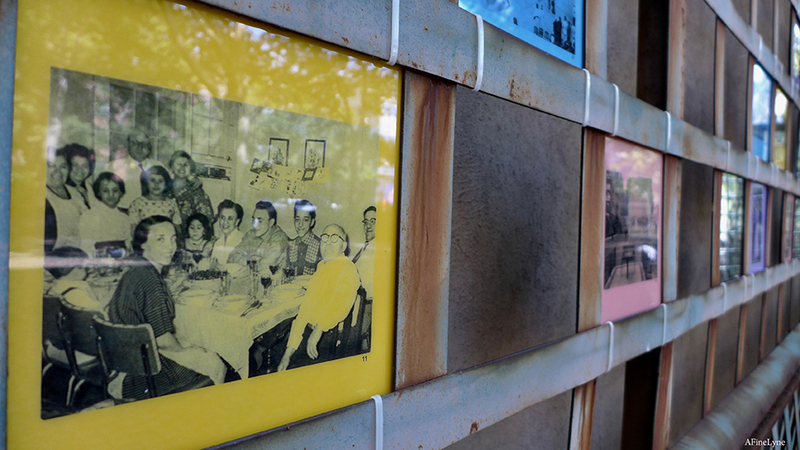 Present Histories: An East Harlem Photo Album by artist Kathleen Granados will be on view in the Harlem Art Park, East 120th Street between Lexington and Third Avenues until August 10, 2019. Take a walk through Marcus Garvey Park with Connie Lee, President, Public Art Initiative/Marcus Garvey Park Alliance, and Mitchel Silver, Commissioner of NYC Parks Department.